I’ve decided to showcase a couple more of “The Dark Knight” collectibles that I have acquired. 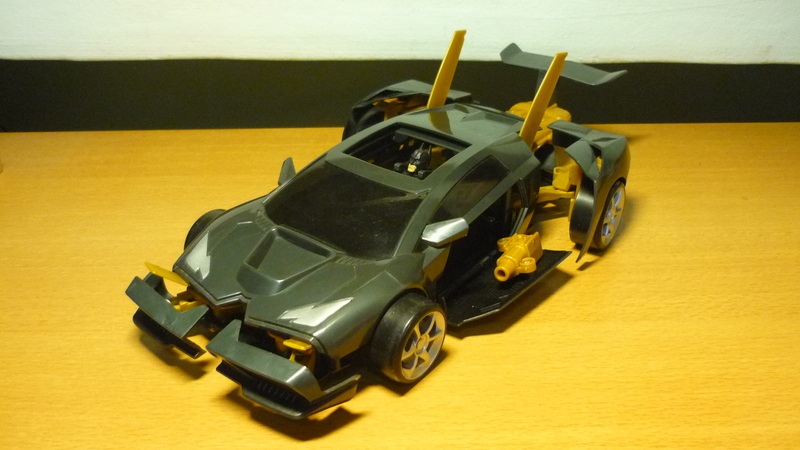 This is a 1:18 scale Tumbler, made by Hot Wheels, and released in conjunction with “The Dark Knight”. 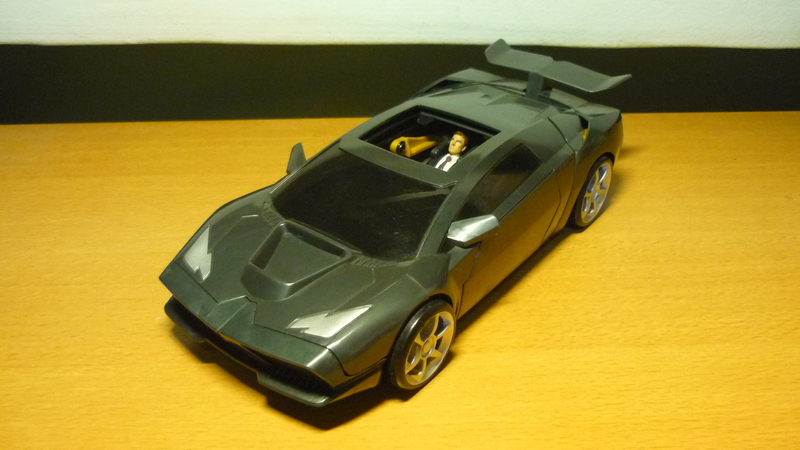 The Lamborghini is capable of transforming into “attack” mode. 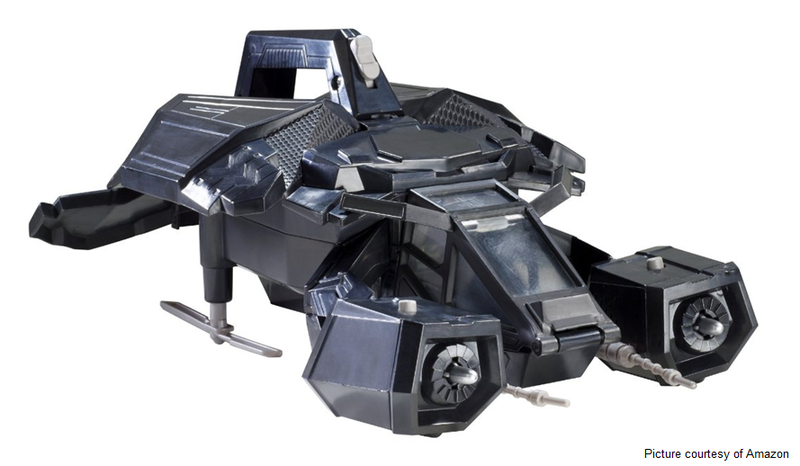 …the entire vehicle transforms into a mean attack machine, complete with battering rams, missile launchers and turbo engines, with Batman at the driver’s seat. 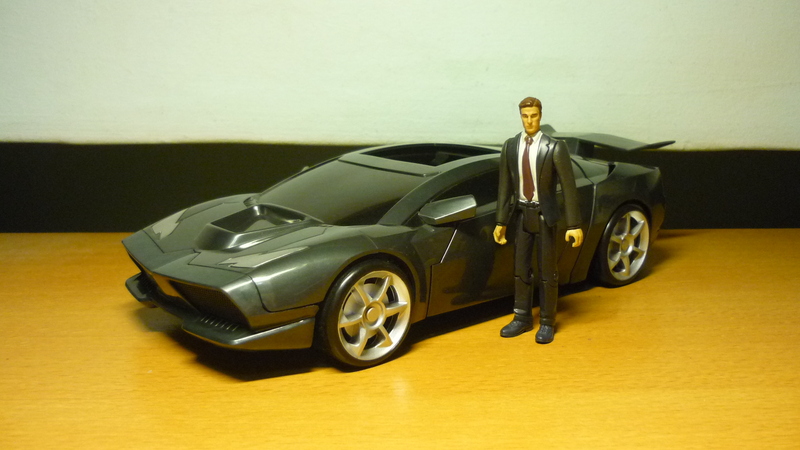 And here I wish to scold the eBay seller who sold me this Lamborghini without the missiles. 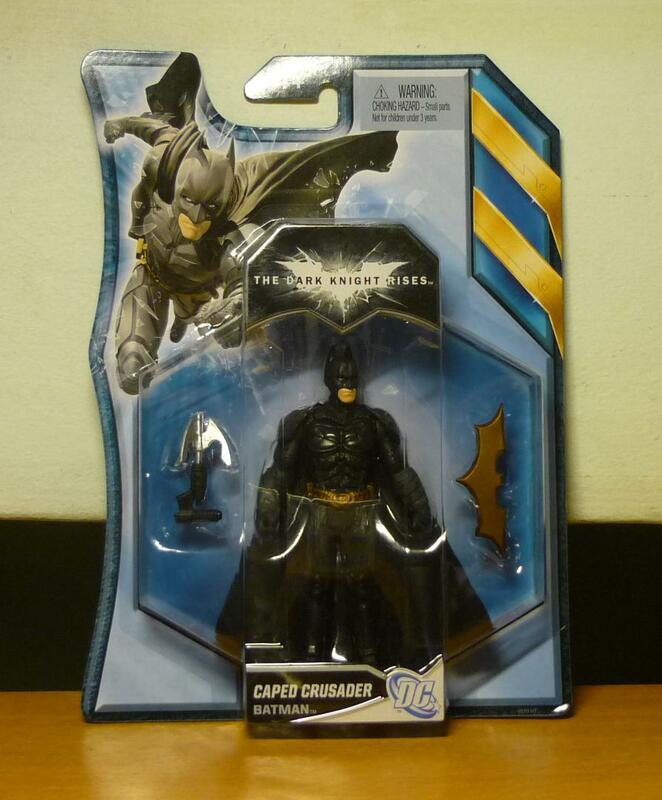 A 4″ Batman from “The Dark Knight Rises”, he comes with two cool accessories: a grappling gun, and a Batarang. As a sidenote, the grappling hook does not detach from the gun, and the Batarang unfortunately seems oversized for the figure. 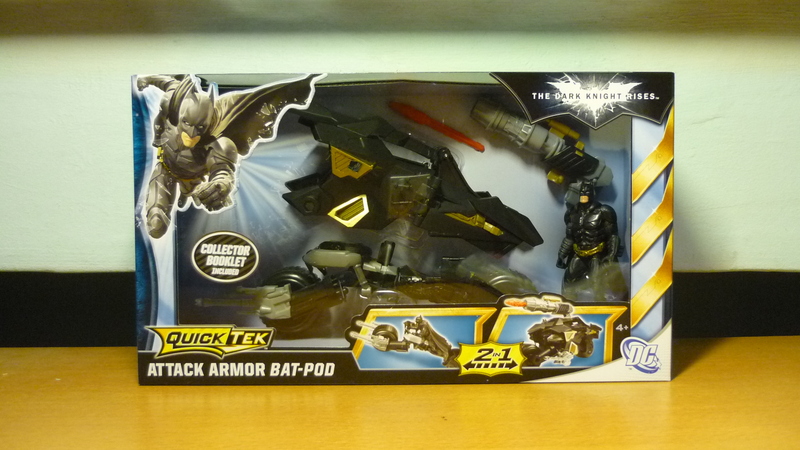 This is a Bat-pod that is appropriately-sized for the 4″ Batman figures. 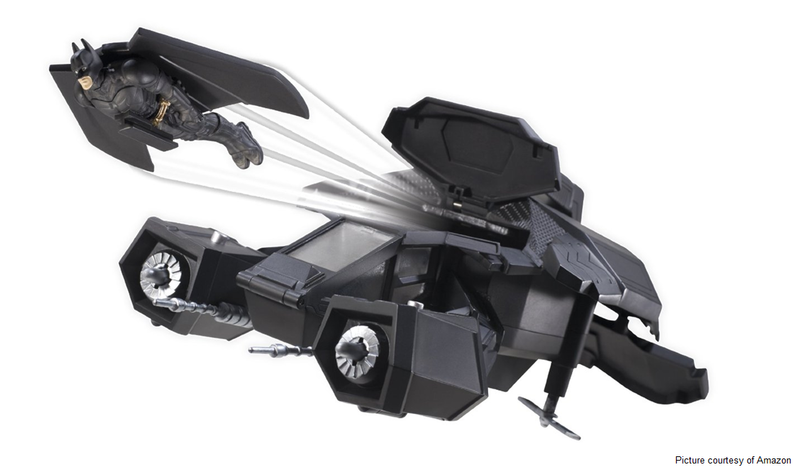 When the Tumbler was critically damaged by the Joker in “The Dark Knight”, Batman ejects out of the Tumbler in the Bat-pod to continue his pursuit of the Joker. In “The Dark Knight Rises”, Batman loans the Bat-pod to Catwoman as they fight to liberate Gotham City from Bane and his mob. Appearing in “The Dark Knight Rises”, the Bat is the latest addition to Batman’s arsenal. 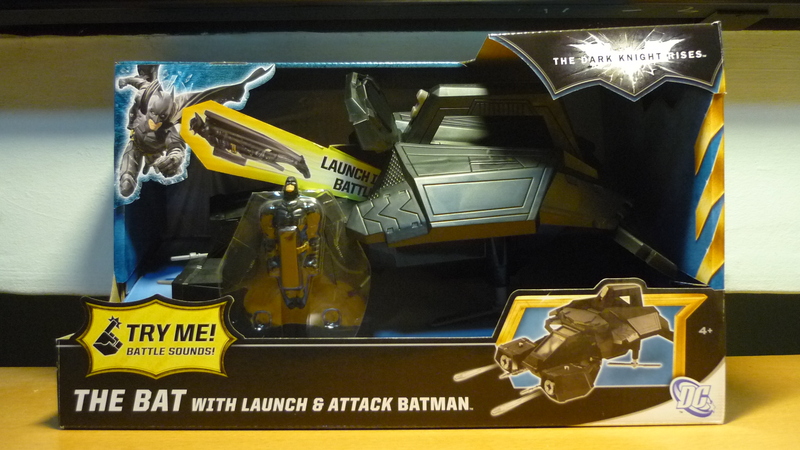 The Bat looks real cool, the propellers can spin, and the “arms” shoots out missiles, accompanied with sound effects. This picture gives you a clue on how Batman could have escaped at the end of the movie.